Go to Forms => Settings. 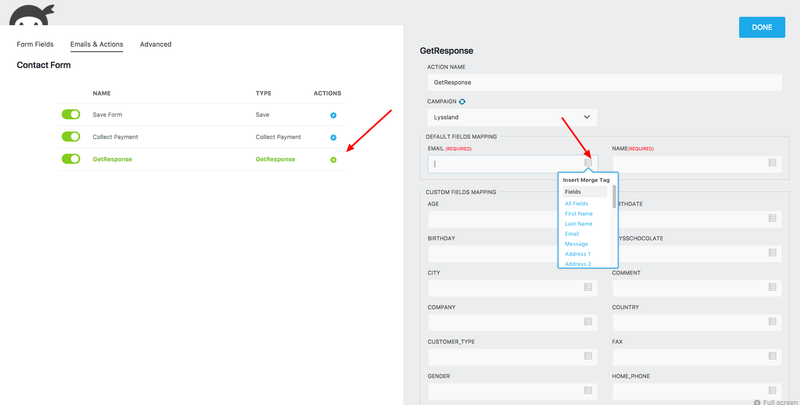 -API Key: Enter your GetResponse API Key. 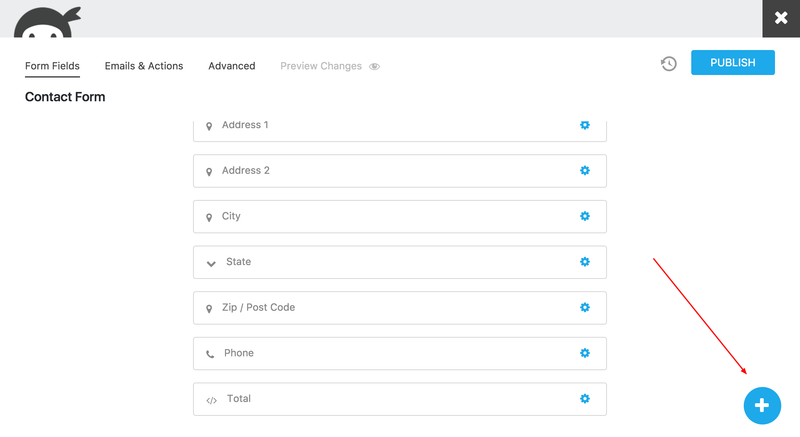 Go to Forms -> All Forms and edit one of your Forms. On the tab Emails & Actions you’ll see a + on the bottom right to add additional actions. Click this button and add the GetResponse action. 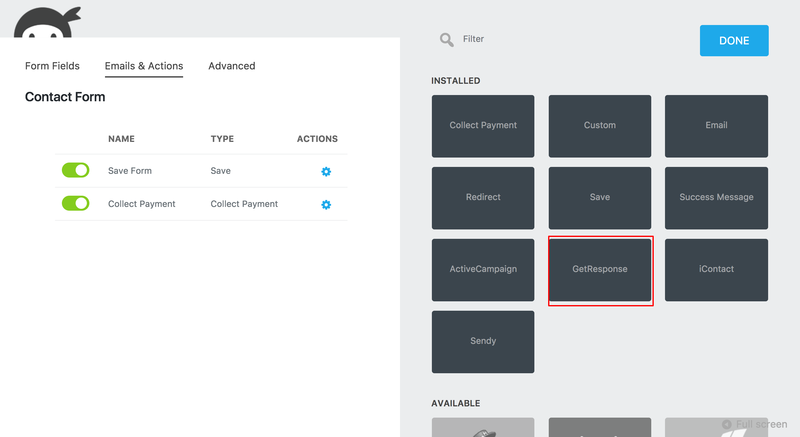 -Campaign: Select the Campaign to which you want to add subscribers from your Form. -Email: Select the Email Field from list of your form fields. -Name: Select the Name Field from list of your form fields. 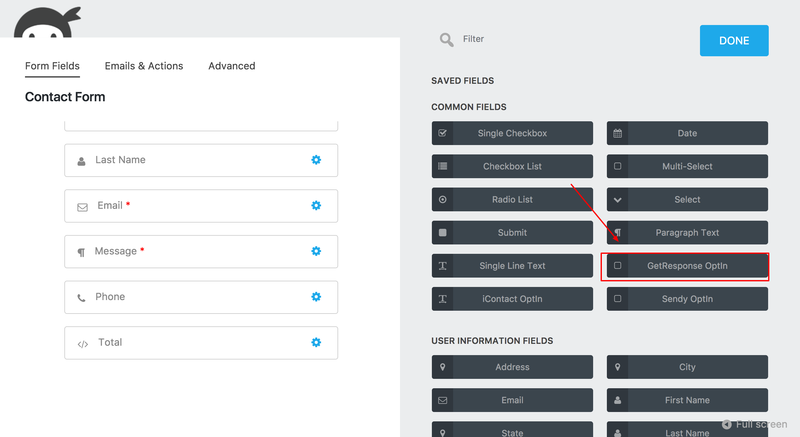 You can add Opt-in checkbox by adding new field to your form. Thats it ! You are all set to go.